If you’re travelling from Colombo Airport into the city you might be better off taking the Express Bus as this is more direct and will save time. On your way back from the airport you could try our Airport Taxi Share option to see if there is someone arriving at the same time as you who would like to share the ride and reduce the cost. Click here to find out more. From airport you can take local bus from Negombo to Kandy like I did. It goes from Katunayake Airport Bus Station and to Kandy it takes approx. 4,5 hrs. to Katunayake Airport Bus Station ?? Buses leave from just outside Colombo Bhandale airport to Colombo fort. The charge is about 120 LAKE and additionally for luggage. We paid 130 LAKE for two normal drag bag suitcases. The distance is covered in about 1 hour early in the morning. We took a bus at about 8 and reached Colombo fort by 9. Currently on the bus. It cost 300 for me and my backpack. My plane arrived at 10pm and I was out of the air port on the bus by 1130pm. The bus didn’t leave the air port till after midnight and has made frequent stops along the way until standing room only. I am a solid big guy and I don’t fit… My knees are wedged into the seat in front and my shoulder are squished between the window and the local next to me.. I feel worse for the people around me, but still not thrilled, from my luxurious spread and relaxing to crammed in pain. I would also like to know what time in the evening is the last bus leaving Colombo Fort towards the airport. Thank you very much. I want to know the time schedule of 187 bus from colombo fort to airport. 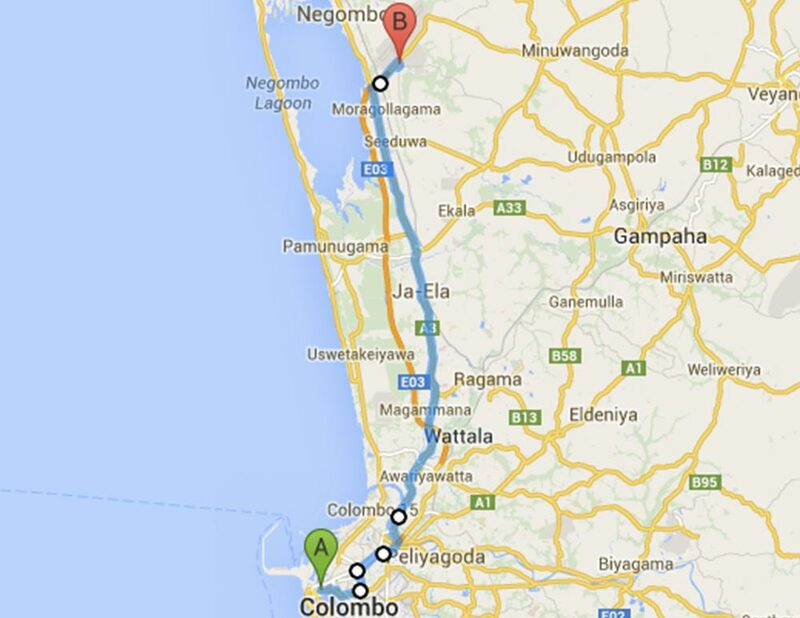 I want to knows that how i can travel from colombo airport to kandy .